Anime News - Dennou Coil Coming Soon! Dennou Coil is described as being "Ghost in the Shell meets Hayao Miyazaki". After this comparison, I'm excited. Then when I found out the it is created and directed by Mitsuo Iso I almost lost it! Iso has been involved in Ghost in the Shell, Porco Rosso, Perfect Blue, Neon Genesis Evangelion and RahXephon (a personal favourite of mine). 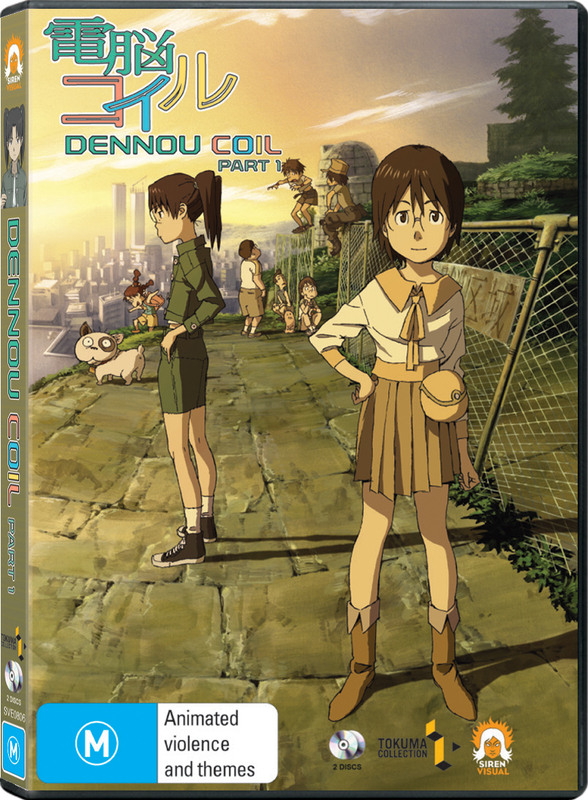 Due for release by Siren Visual on the 16th of September, Dennou Coil Part 1 is high on my list of 'must haves'. 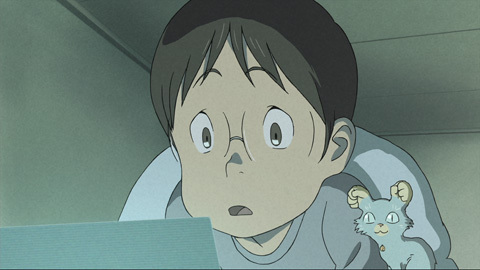 Dennou Coil (aka Coil — A Circle of Children), is an Anime First sci-fi series animated by studio Madhouse and made its original run on Japanese television in 2007. Dennou Coil is set in the fictional Japanese town of Daikoku, the testing ground for an Augmented Reality project that involves crafting a cyberspace that overlaps the town entire. By using specific glasses, people are able to interact with this overlapping cyberspace, allowing them to carry on their normal lives in addition to being permanently connected to the internet through their glasses, essentially concentrating all modern portable media devices (phones, MP3 players, laptop) into one set of non-intrusive glasses. With the appearances of 'glitches' in this augmented reality, a thriving hacker culture soon emerges amongst the children of the city. Dennou Coil could be described as "Ghost in the Shell meets Hayao Miyazaki"; an extremely charming, high-quality story of children, for children, in a sci-fi setting designed to display the effects of this new technology that still manages to keep some fantasy elements. Part 1 contains 13 Episodes over two DVD-9 discs.